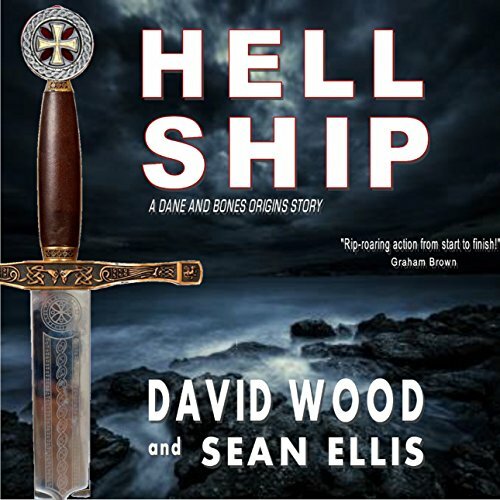 Showing results by author "David Wood"
When Navy SEAL Dane Maddock and his squad are sent to find the wreckage of a sunken World War II Japanese "Hell Ship", they find themselves caught up in a deadly race to solve an 800 year old mystery. 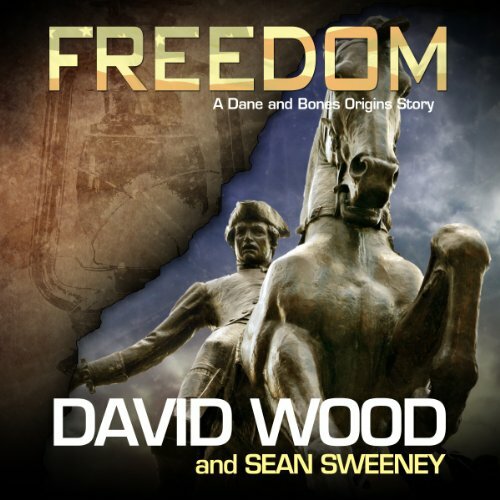 Can Dane and Bones outrun, outfight, and outwit a cadre of deadly adversaries and find the key to unlock the deadly secret of the Knights Templar? Sunken ships, conspiracies, secret societies, historical mysteries, and all the action you can handle! Marine biologist Sam Aston is hired to explore a series of subterranean caverns deep beneath the Antarctic. Somewhere within this lost world of magnificent caverns and underground seas lies a source of limitless clean energy, but something guards this treasure. 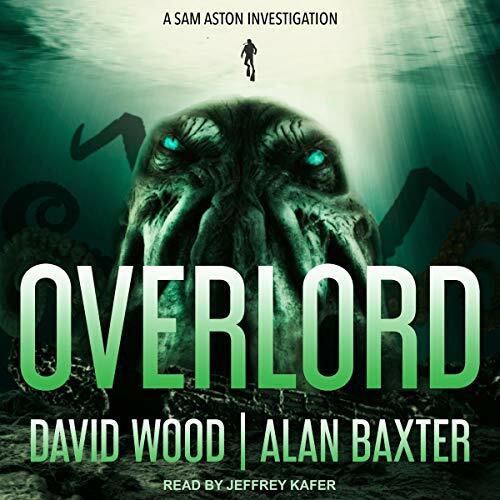 As enemies bent on obtaining this world-changing resource for themselves close in from above, Aston and his team plunge further into the depths and discover they are not the first to come this way...and they are not alone. So exciting you’ll wet your pants! Most Americans are now familiar with post-traumatic stress disorder (PTSD) and its prevalence among troops. 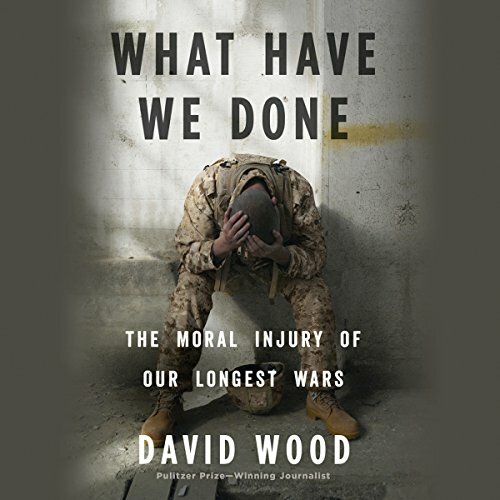 In this groundbreaking new audiobook, David Wood examines the far more pervasive yet less understood experience of those we send to war: moral injury, the violation of our fundamental values of right and wrong that so often occurs in the impossible moral dilemmas of modern conflict. 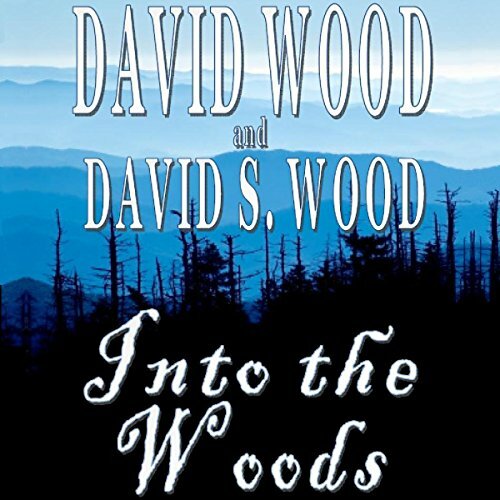 Set against the backdrop of colonial America, Into the Woods is the story of pioneer and patriot Jonathan Wood. Straining against the bonds of Tidewater society, and tempted by an ancient legend, Jonathan's sense of adventure leads him "Over the Mountains" of southwest Virginia. Perils abound for this brave pioneer, who must face threats from the native tribes, the British, and even more sinister enemies, while fighting for the woman he loves and the land that will not let go of his heart. 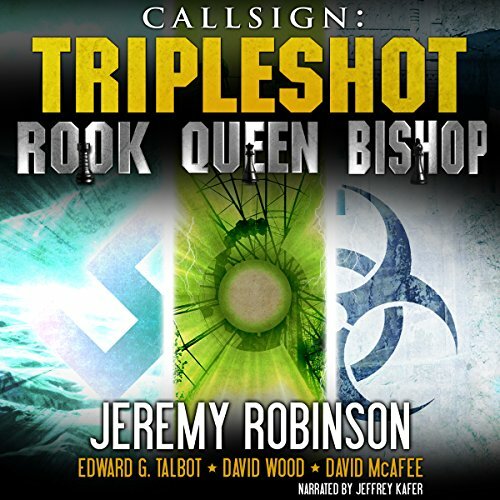 In 2011 Jeremy Robinson released a series of eight novellas deemed the Chesspocalypse. Each novella follows a single member of the Chess Team from his Jack Sigler Thrillers series. An ancient legend guards a deadly treasure. 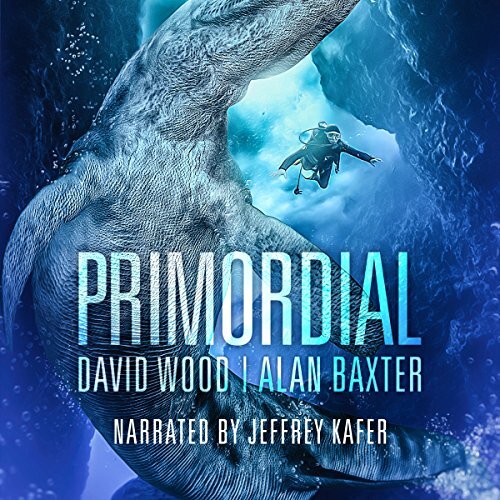 When former Navy SEALs turned treasure hunters Dane Maddock and Bones Bonebrake discover a sunken German U-boat at the bottom of the Irish Sea, they find something shocking - the tooth of a prehistoric reptile embedded in the hull! Soon, Maddock and Bones join a beautiful reporter and an eccentric cryptid hunter on an action-packed search for a lost treasure that brings them face to face with one of the world’s most enduring mysteries. Some doors should never be opened. When Rose Black’s sister goes missing, she once again calls upon Jake Crowley for help, but the two get more than they bargained for. 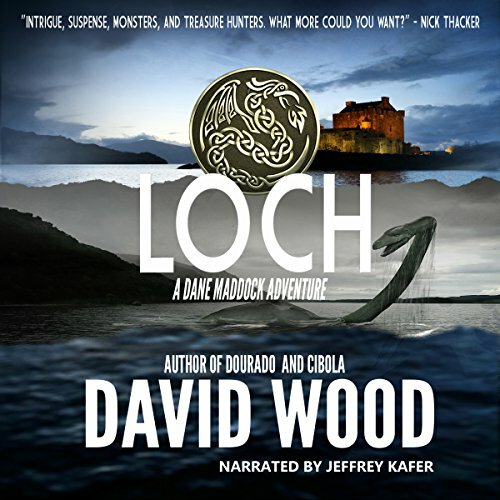 The search takes them on a twisting journey, where danger lies at every turn. 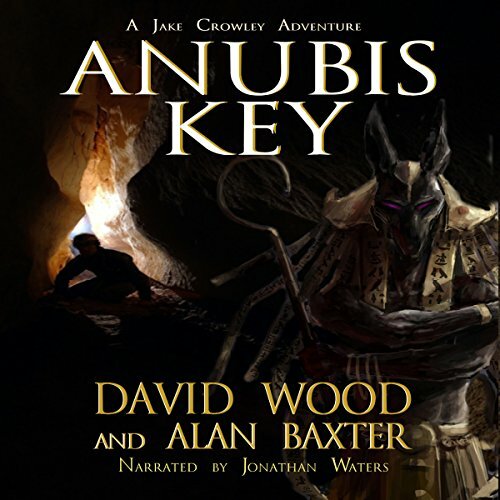 From ancient pyramids to lost cities, deadly cultists and conspirators lie in wait as Jake and Rose navigate depths few have dared on a pulse-pounding search for the Anubis Key! 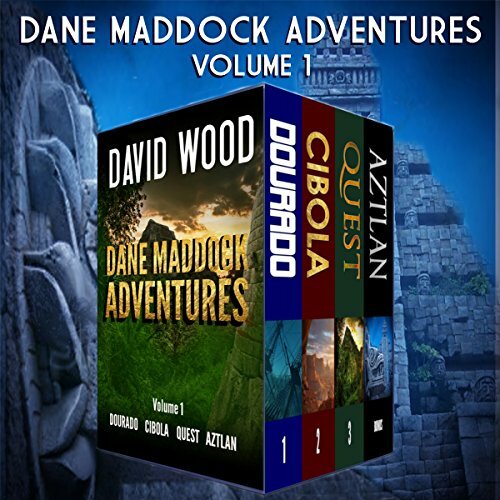 Three bestselling adventures from the Dane Maddock Origins series. Archaeologist Dima Zafrani receives a mysterious package containing fragments of an unknown text that proves the existence of the lost Book of Noah. 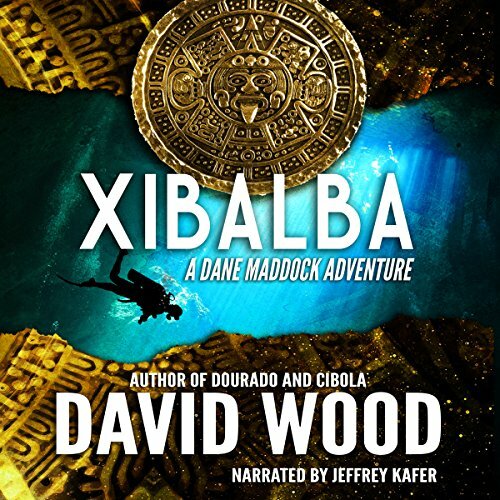 Pursued by a shadow organization known only as The Trident, Dima crosses paths with former Navy SEALs turned treasure hunters Dane Maddock and Bones Bonebrake. 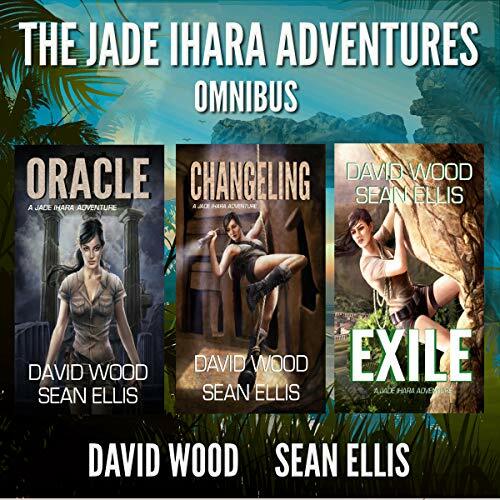 Can the three find the legendary Noah Stones before the Trident can harness their power? 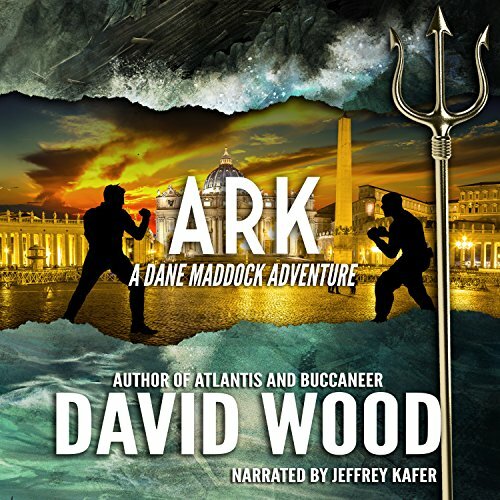 When the bones of the Magi are stolen from their resting place in a German cathedral, the whispered words of a dying priest catapult Dane Maddock and Bones Bonebrake into the midst of a deadly race to solve a centuries-old conspiracy. 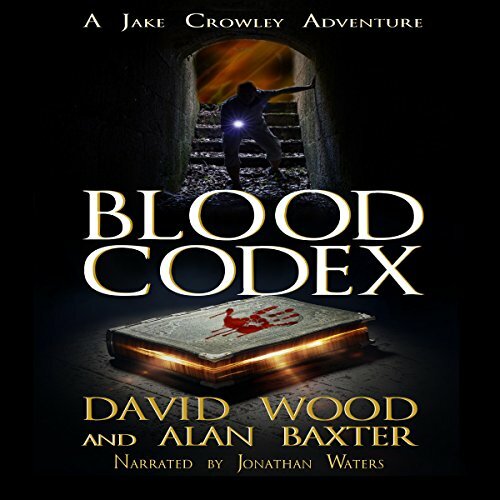 Danger lurks at every turn and no one knows where the clues will lead...or what they will uncover. 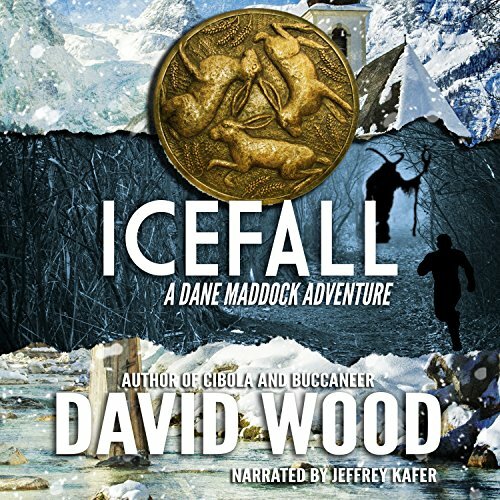 From ancient cathedrals to hidden temples to icy mountain peaks, Dane and Bones must outrun and outwit their enemies in the thrilling adventure - Icefall. Dane Maddock is back. Deep in the Amazon, a university group encounters a horror beyond their darkest nightmares and vanishes without a trace. 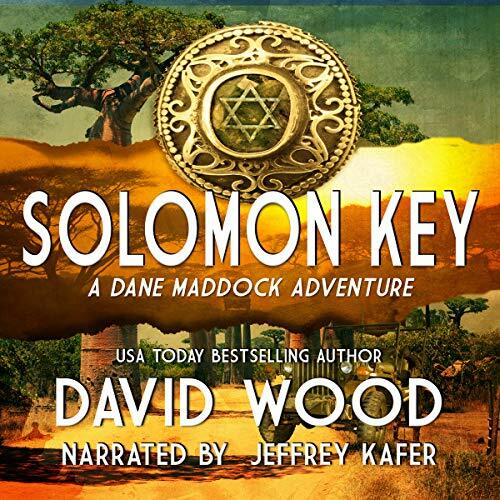 Called upon to undertake a daring rescue mission, Dane and Bones must trace the true path of Percy Fawcett's final expedition, but the secret that lies at the end of the search might be even deadlier than the enemies who seek it. 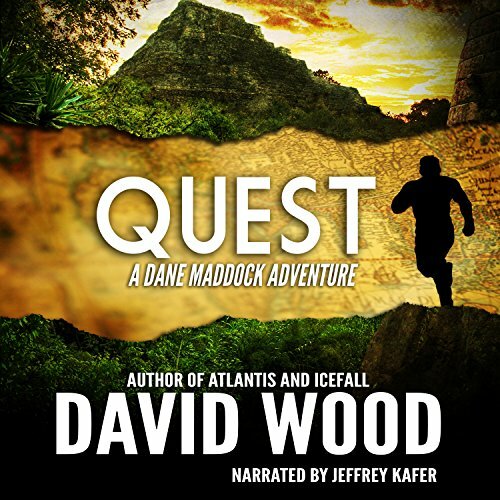 From the streets of London, to remote islands in the Atlantic, to the deadly jungles of the Amazon, Dane and Bones must penetrate a secret lost to history, on their deadliest Quest. 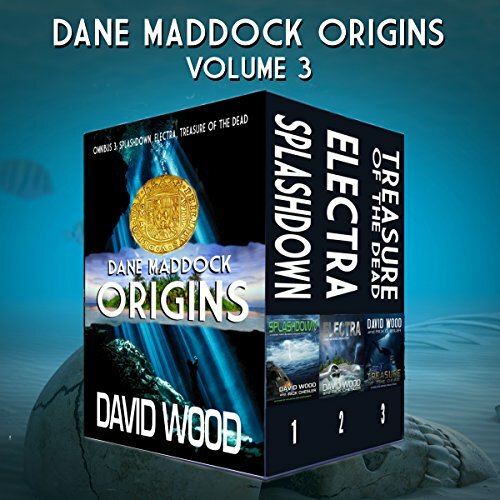 For more than two centuries the Oak Island Money Pit has baffled researchers and foiled treasure hunters, and when Dane Maddock and Bones Bonebrake take up the search, they get much more than they bargained for. Danger lies at every turn as they search for a treasure out of legend that dates back to the time of Christ. 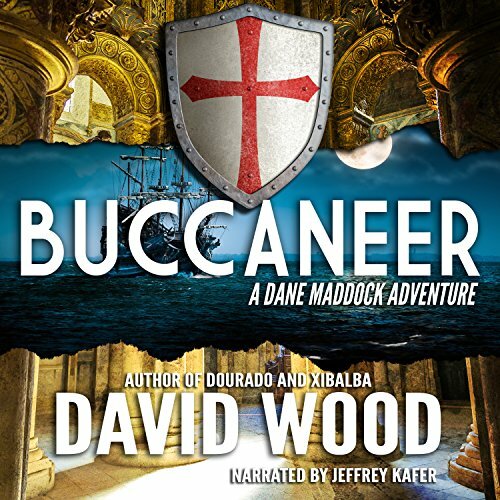 Ancient wonders, hidden temples, mythical creatures, secret societies, and foes new and old await as Dane and Bones unravel a pirate's deadly secret in Buccaneer. Most cataract surgery patients are optimistic and for good reason. 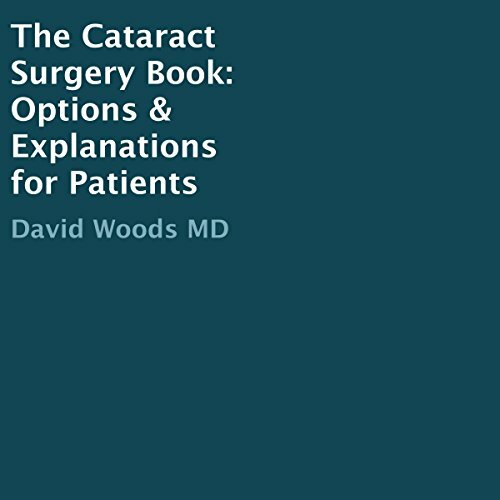 I have personally performed thousands of cataract surgeries in my career, including members of my own family, and the majority of those operations were qualitatively successful. And because of the success rate of such surgeries, many prospective patients expect perfect vision restored with little or no recovery time. But, as with any surgery, there are potential complications.